I have been invited to include two works in the upcoming 2018 Annual National Juried Art Exhibition to be held at the Academy Center of the Arts, Lynchburg, VA. The two are pieces are: A Summer’s Shift (shown above) and the diptych Fall, Into Winter (below). 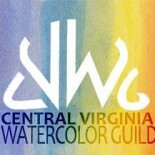 Both works are mixed aqueous media pieces; each began with on-site/plein-air watercolor sketches of local Virginia landscapes. The show runs from Exhibition April 6-28, 2018. I will also invited to participate in two other events (that will also contain exhibitions) in April-May. … And, as usual, I have several classes and other presentation events scheduled. This entry was posted on Mar 26, 2018 by miatomaine in Member news.